Mister Elad surfaced on the musical landscape in Cameroon when he released a soul-searching and sultry vocal rendition titled “Chakara”. The song topped the R&B charts and remains one of the most acclaimed songs in Camer’s urban music history. It took him a while to drop the video which was much-awaited. Due to delay, the video made a mediocre impact. After dropping the video, the R&B singer now signed to Mud House continues his journey with a remix of the song featuring Nigerian A-list artist Iyanya. The lyrics seem to be fine-tuned and accorded more justice. POLEMIC: Did X Maleya refuse to grace the stage before kukere master Iyanya ? 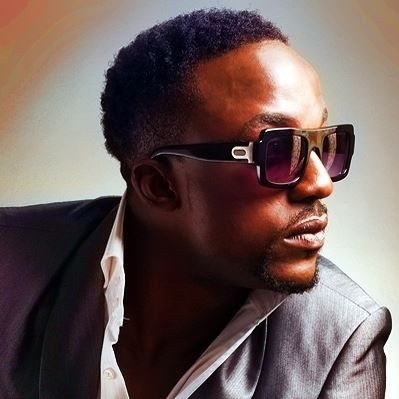 Rumors of Iyanya coming to Cameroon were rife on social networks. Yes ! A brewery company yesterday unveiled their new brand to the Cameroonian public in an electrifying event which had Nigerian Kukere crooner Iyanya and X Maleya as guest performing artists , hosted by Tito Valery. Iyanya performed snippets of his hit songs and the concluded with the much anticipated ‘Kukere’ tune. We witnessed a drama when Iyanya called up a female fan to the stage. By the time she mounted, someone resisted , asking her to descend from the podium to Iyanya’s utter amazement. Was it her boyfriend? Je me sais pas. Now, why did X Maleya fail to show up on stage when the trio was announced by the host to perform ? Dismayingly, Iyanya was the one who graced the platform for the Cameroonian group. This was a vivid evidence that the group desired a pride of place in their country. X Maleya were simply adorable , impressing the audience with a groundbreaking rendition of their new hit ‘mon ex’ featuring J Martins and other hits. The subject of who performs before the other, who is bigger or en vogue has been recurrent during concerts in Cameroon. Is that what ensued? This is not the first time this has happened in a concert in Cameroon. In an edition of Fomaric trade fair in Douala , there was a feud between Achalle and Duc Z on who is the man of the moment and who graces the stage for the other. On the 20th of December 2013 Petit Pays flagrantly refused to perform before the Nigerian guest artist Flavour in Buea. Of course we all know what happened. Flavour appropriated the stage for several hours , forcing the Cameroonian mega star to sneak away from the venue without performing in front of the anxiously waiting crowd after being paid. Habitually, the guest act is preserved for the last moment after all opening acts have performed. Seemingly, no artist is ready to be opening act for the other. Even the up and coming artists have this fever. Pride comes before a fall. Dunno what you think?